Welcome to the European Muscle Conference! Welcome to Budapest! This meeting is the annual gathering of the members of the European Society for Muscle Research (www.esmr.org). Everyone who registered to our meeting is automatically a member of this society, which oversees and supports muscle research in Europe and beyond. This year's meeting is the 47th consecutive conference in a series that has been started by Professor Marcus Schaub of Switzerland. 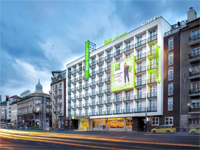 The conference venue changes, from year to year, between European cities, and earlier the Society decided that this year's meeting will be organized in Budapest, capitol of Hungary. The topics of the conference usually span the entire spectrum of muscle-related research. It is no different in this year's conference either; however, a new focus will be given to the emerging field of motor protein pharmacology. Furthermore, there will be a number of workshops, given by sponsoring instrument companies, which will provide a direct, hands-on opportunity to interested researchers to become acquainted with important methods employed in the field. There are important discoveries of muscle research — actin 75 and titin 40 years ago — to be remembered and celebrated, therefore our meeting, in a way, intends to bridge the past with the future. I sincerely hope that the host city, Budapest, will be a most welcoming environment for our conference. The venue is the Basic Medical Science Center of Semmelweis University, the oldest and most prestigious medical tranining university of Hungary which will celebrate its 250th aniversary next year. Hopefully you will find time to discover the rich historical and cultural heritage of Budapest as well. A tour, part of our social program, will will show you some of the most important sites of this grand city. The Gala Dinner of the conference will be in the cupola of the Royal Castle of Buda, in the main hall of the National Gallery of Hungary. 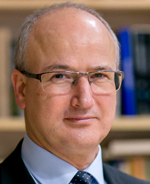 I am delighted that Professor Andras Muhlrad accepted to give a dinner talk. Finally, I want to express my gratitude to the numerous people who helped in organizing this meeting: Katalin Mátray and her staff at K&M Congress, and members of the Local Organizing Committee and the Scientific Committee. I wish you an intellectually rich convention and enjoyable stay in Budapest! H-1027 Budapest, Fő u 68. The history of the city began with Aquincum that became the Roman capital of Lower Pannonia. Hungarians arrived in the territory of the present city in the 9th century. Their first settlement was pillaged by the Mongols in 1241. The re-established town became one of the centres of Renaissance humanist culture by the 15th century. From 1526 - the battle of Mohács - nearly 150 years of Turkish rule followed. Afterwards, the region entered a new age of prosperity, and Budapest became a global city with the unification of Buda and Óbuda on the west bank with Pest on the east bank of the Danube River in 1873. Today Budapest is a leading global city with strengths in commerce, finance, media, art, fashion, research, technology, education, and entertainment. 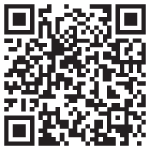 We are proudly inform you that the mobile app of the congress is available. 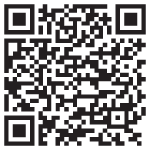 To download just read one of the QR codes below or type emc 2018 to the app store of your smartphone. The registration desk, located in the lobby of the conference venue, will be at your service throughout the duration of the conference. A comprehensive exhibition will be held at the Congress venue. To obtain further information please contact the Congress Bureau. The advent of “fast-scanning” AFMs almost a decade ago improved imaging speeds but still only allowed processes to be captured with a temporal resolution of approximately ten seconds. The recent introduction of a practical video-rate AFM has improved imaging speeds by yet another order of magnitude and now makes it possible to capture movies with a temporal resolution better than a second with simple operation. This free workshop will give an introduction to video-rate imaging and biophysical applications with lectures and live hands-on demonstrations with the Asylum Research Cypher™ VRS Video-Rate AFM. In the first half of this workshop we will demonstrate the high throughput system for calcium and contractility measurements on intact, isolated myocytes, our protocols for these experiments, plus the analysis and statistical treatment of the resulting data sets. In the second half of the workshop we will address mechanical experiments on intact and permeabilized cardiac myocytes and muscle strips. The dynamic single molecule workshop will showcase Lumicks C-trap instrument, a unique combination of optical tweezers and confocal microscopy. You will see the instrument, basic operation and be able to manipulate and visualise a single DNA molecule as well as ask questions from our single molecule experts. Instrumentation and methodology for contractile measurements of muscle fibers Please join us for a workshop focused on the experimental methodology for making contractile measurements in single permeabilized fibers. A brief didactic session will focus on an overview of the operating principles behind the instrumentation as well as capabilities. This will be followed by a live demonstration of the system with time for discussion and Q&A. Posters can be mounted on 31 August and must be taken off on 3 September. will be sent to every participant by e-mail after the conference. Coffee and refreshments will be available in the lobby of the Congress venue during Coffee breaks as indicated in the program. Lunch included in the registration fee. Buffet lunch will be served in the lobby of the Congress venue as indicated in the program. The EMC 2018 Welcome Reception will take place in the lobby of the Basic Medical Science Center of Semmelweis University (the Congress venue) from 18:00 pm on Thursday, 30 August 2018. The banquet dinner will take place in the Hungarian National Gallery in the Buda Castle from 19:00 on Sunday, 2 September 2018.
from 1 August, 2018 no refund. Refund requests must be submitted to the Conference Secretariat in writing. H-1096 Budapest, Thaly Kálmán u. 43. Prices include buffet breakfast, use of wifi, taxes. Parking available for 15.00 EUR. H-1091 Budapest, Üllői út 89/B. H-1095 Budapest, Soroksári út 12. Prices include buffet breakfast and taxes. Parking available for 14.00 EUR. 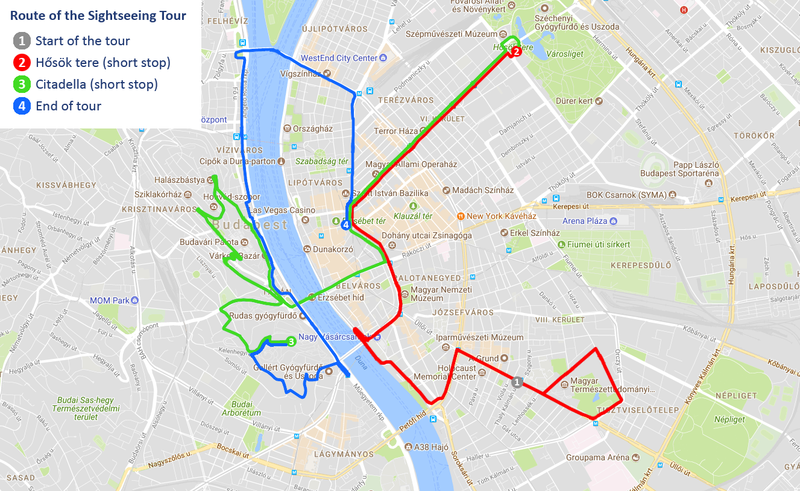 H-1092 Budapest, Ráday utca 6. Prices include buffet breakfast and taxes. Parking available for 20.00 EUR. 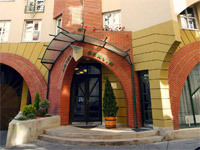 H-1094 Budapest, Angyal utca 31. Prices include buffet breakfast, use of wifi, taxes. Parking available for 4 500 HUF, appr. 15 EUR. H-1053 Budapest, Kecskeméti utca 14. Prices include buffet breakfast and taxes. Parking available for 6 900 HUF, appr. 23 EUR. Free wifi is provided throughout the conference venue. The weather in the first week of September is usually warm in Budapest, daytime temperature ranges between 22-25 ℃, however, nights are already cool (between 11-13 ℃). Rain may occur. Dress is informal at all occasions. 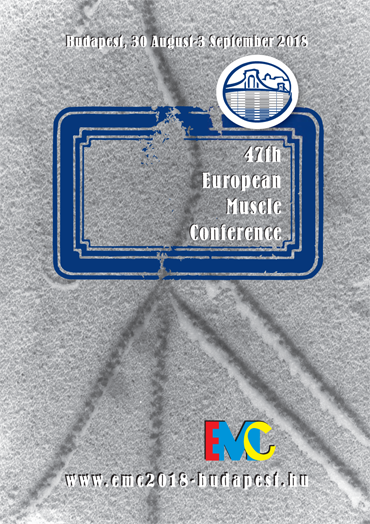 47th European Muscle Conference is dedicated to a harassment-free conference experience for everyone. Please click here to check our anti-harassment policy.